Agile development methods are a form of software development that helps various teams of software engineers, product managers and QA teams work on a project collaboratively. Is it right for your team? Before we dive in and learn how it may (or may not be) right for your team, here are some quick facts. About three-quarters (71%) of businesses with software innovation teams use Agile approaches regularly. Atlassian Jira is one of the most well-known Agile-specific tools. Most development projects are now using agile software development. Their focus is on accepting the reality of moving targets and changing goals, instead of trying to predict from the beginning what those timelines and goals will be. An iterative process helps them do this, as goals are re-evaluated in this process to move the project forward. This is a key part of agile project development. Embracing change is a foundational part of the agile philosophy. To maintain that, teams must be more collaborative, flexible and yes, agile than they have in the past. Note: Find more info on free project management software! Agile Development Methodology Or Waterfall: What Works For You? In agile, the top priority is delivering the highest possible value to improve the customer retention rather than adhering to a formal plan. The principles of agile software development help to solve problems that may be caused by process inflation. Agile favors simple techniques to achieve the end goals. The agile system depends on repeated cycles of iterations in incremental portions. It’s actually a compression of the Waterfall model into a one-week cycle. Increased speed, lower costs, and utmost flexibility are some of the agile development benefits if implemented in the right way. The Waterfall model is a software designing linear model that follows a sequential process in which development flows sequentially from beginning to deployment involving several different stages. In contrast to the waterfall model, the Agile method integrates incremental gains into an iterative approach to eliminate the weak points of Waterfall model and gives more freedom to designers than before. In this design process, changes are done anytime whenever issues crop up. Depending on the requirements and the way that teams like to work, there are many different styles of agile project management. Test-Driven Development (TDD), Feature-Driven Development (FDD), Scrum, Crystal, Extreme Programming (XP), Kanban, and the recent Adaptive Software Development are all options. The most popular of these options is Scrum. The combination of SCRUM and XP are used by many because SCRUM practices are helping to manage teams that utilize Extreme Programming. How Do You Use Agile With ClickUp? Most companies don’t use one particular method or the other. They use a hybrid approach that isn’t necessarily by the book, even though their frameworks are Agile or Waterfall. At ClickUp, we use a hybrid, less-rigid approach that gives teams maximum flexibility. In ClickUp, the Board View is the dashboard for day-to-day tasks of the scrum process which operates like a Kanban board. However, sometimes you’ll also need a larger perspective. 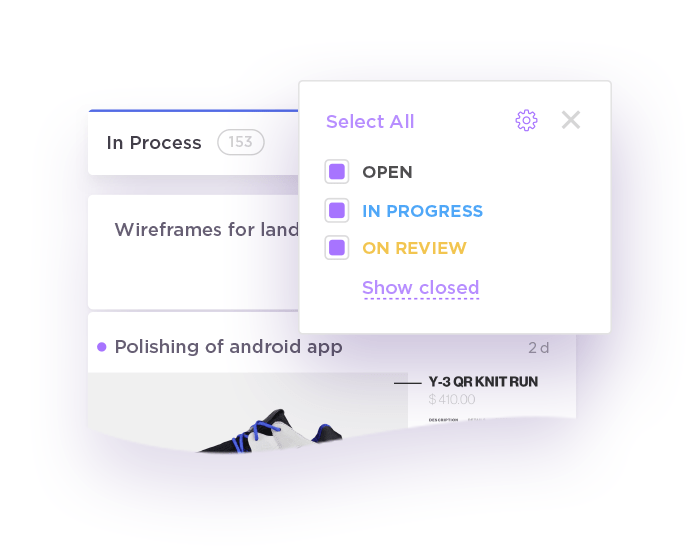 ClickUp will be adding SCRUM points in the near future to help teams that are interested in this methodology and feature best meet their goals, while also giving non-development teams a place to communicate and record their work. Many teams also use sprints within their agile development process. A sprint is a short burst of activity during which a team commits to finishing much of their backlog within a certain timeframe. After that, the team meets for a retrospective, where teams go over the sprint, the tasks and how to improve on their next sprint. In ClickUp, you can use tags and lists as a way to organize tasks into a sprint. 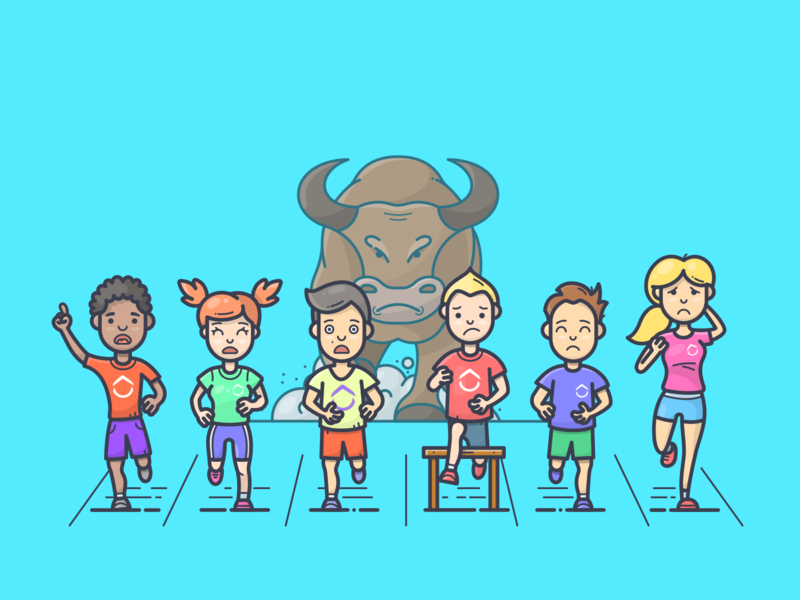 One of our goals at ClickUp is to give every team an opportunity to succeed, and this requires communication across teams with different functions. We don’t want teams to be siloed in their own tools, eliminating vital communication. What Are The Benefits of Using The Agile Method? At this point, many well-known software professionals have ironed out most of the kinks of agile, which means the hard work has been done for you. Most software teams choose a form of agile development and then go from there. Faster Delivery. Agile helps teams maintain and focus on faster delivery. Thus, businesses will have lower overall risks related to software development. Optimized Development Process: With iterative planning and quick feedback, teams continuously deliver products that align with the client’s needs. It consistently adapts to evolving requirements throughout the process by evaluating and measuring the current status of a project. Because they evaluate early and often, there is accurate visibility into the success of each project. Rather than marketing the software before it is done, the Agile Method allows teams to optimize the release during development. The product is never fully “done,” but marketing teams and sales will have versions they can show and sell with the promise of more upcoming features. This also helps he delivered product stay as competitive as possible in the marketplace. It keeps the product relevant, while ensuring that a team’s work does not end up collecting dust on a shelf. This makes the Agile Method an attractive developmental option for developers, stakeholders and business leaders alike. The Agile Method also has many critics; however, this method delivers results that customers can take to the bank. A project may not end up exactly as the client thinks, but it will be completed on time. The client and the team can change the requirements throughout the process in order to deliver the quality required by the client. To master your team in implementing agile, you can even take training from experts like Agile and Scrum training. Sometimes, the ongoing change can give the client and team much better results than they had originally envisioned for a particular product which is a real win-win.